I grew up in New York City. Been back many times over the years and (assuming I have some money in my pocket), immediately feel comfortable there…the intensity, the “everything in its original” experience. The Babel of languages, the food, the feeling of “there is no place like this” and it goes on forever. But my Moldovan born wife and Siberian born son had never been, so I had the great pleasure of re-experiencing the city through their eyes. They had no idea where we would be going or what we would be doing until I surprised them… it was fantastic. We stayed in four different hotels over four nights (see below) so I could show them the different neighborhoods… plus after all, my job is to write about this stuff. In less than four days we… took a carriage ride in Central Park (the driver let my son take the reins), walked down 5th Avenue at night, ending up at the Lego store (my son smiled constantly), went to the Museum of Natural History (dinosaurs plus the African mammals), ate pizza, pretzels and bagels, saw Aladdin on Broadway (they both could not stop smiling), went to the top of the Empire State Building (86th floor great, 102nd floor a waste of time), walked the High Line, went to the Statue of Liberty, hung out in Washington Square Park on a Saturday morning… and walked every street in the West Village and SoHo (my wife smiled all the time). My caveat… I did not get a site tour or see meeting space (although they have some)… so I can neither confirm nor deny that I would recommend them for a small meeting, BUT… I can say that if you are in NYC and want to be across the street from the Museum of Natural History and half a block from the Park… and you want friendly, personal service and clean-well-appointed rooms at a reasonable price (for New York), then at least check it out next time you are headed that way. No, they did not pay me to say this or give me a special rate. They did not know how important I am. 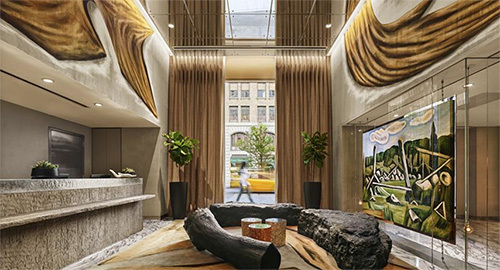 Morgans Hotels (The SBE Hotel Group) started this hotel design as experience thing way back, and now trendy seems normal. So yes, this recently opened 189-room boutique on Park Avenue South and East 30th (NoMad – a few blocks from the Empire State Building) has that design thing going for it. But far more than that, the staff was really terrific. Super friendly, outgoing, helpful, and all of that “stuff” that I prize (and remember) far more than weird lobby furniture. Not that theirs is particularly weird… but you know what I mean. “When I was a boy”, there were only two reasons to go to the Meatpacking district. If you went there during the day it was because you were a blue collar worker who still had a job in one of the not yet abandoned warehouses, or you went there at night to get into trouble. But now… it’s really cool. Go figure. Opened “way back” in 2004 (wasn’t that yesterday?) this 186-room “cool” hotel, with views of the Hudson and lower Manhattan has 5,500 square feet of meeting space, a rooftop pool and a spa. Plus you have easy access to High Line Park, Chelsea, the West Village and… (this is very, very important to me), easy access to a variety of excellent lattes. If I had a “trendy” group that wanted to be in that part of town, I would always add it to my consideration set. I will not go into the details as to why, as a teenager, I would often sit on my roof and watch, in the distance, the construction progress of the Twin Towers, but in summary, it was a great place to get away. Anyway… so much has happened. Our W Hotel Downtown room looked out over the new Freedom Tower and we were walking distance from all of Lower Manhattan… Battery Park, Wall Street, and all of that other “stuff” way down there that at some point in business (or life) you want to be near. 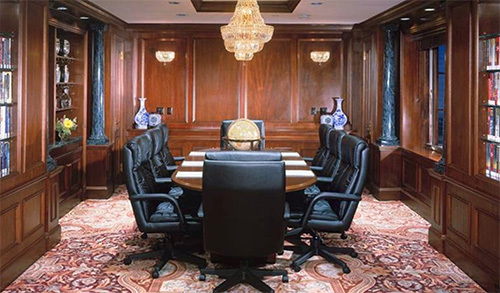 The 217-room W (and because it’s a W you know it sets a certain standard), offers 2000 square feet of venue space. Consider it. So… saying what I just said is nothing considering that New York City is one of the Centers of the Universe, but there is so much there it is impossible to ever even scratch the surface. Maybe next trip. Click on thumbnails to enlarge photographs.